“Earthen floors are ubiquitous in most of the world. They are the most accessible type of flooring to a vast portion of the human population. 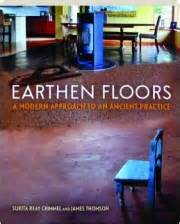 In the modern world earthen floors are still something of an oddity to most people, that is until they step foot on one. And then they are hooked for life. As a simple mixture of sand, clay, water and fibers, more and more people are installing them in their new modern homes with stunning results. This seems like the best book on the subject, judging by the rave reviews at Amazon. 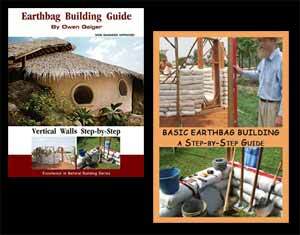 Bill and Athena published a booklet called Earthen Floors quite a few years ago. Feels weird saying this but I’ve never experienced an earthen floor. I would love to build and experience living with an earthen floor. This book looks like a good resource so I added it to my wish list. Thanks. They’re one of the most practical, comfortable floors. This has always been my top choice for dirt cheap building. Extremely low cost. Super beautiful (looks sort of like rich brown leather). They can last for centuries. Non-toxic, do-it-yourself friendly. There are some real earthen floor experts in Crestone, Colorado where I used to live. Lots of great examples in the area.